Every single day on this vacation we do something amazing. Literally. Every. Single. Day. It is a life too good to be true. We are truly blessed and we know it. We acknowledge it daily, if not hourly. We have spent our days swimming under waterfalls, exploring dark caverns, sailing down the Mekong, and to top it all off, living among elephants (a personal highlight). For two days, we cared for them, fed them, bathed them, loved them and made them our companions. They showed us the jungle and a new way of life. The experience was unforgetable and saying goodbye was a difficult task, but knowing they are in good hands is comforting to say the least. We actually never said goodbye. We said we would see them again. We will be back. Before coming to Thailand, I did extensive research on which organization/tour to go through when trying to plan our time with the elephants. Unfortunately, there are not many that treat them humanely or with the respect they deserve. My friend, Rebecca, strongly recommended a day tour through Patara Elephant Farm, but when I requested a reservation, they were already booked for the entire month. (Rebecca, if you are reading this, please don't be sad). After two straight days of researching, I finally booked a two-day stay with Thai Elephant Home. I figured if everyone raved about one day with the elephants, than two would be double the fun. I chose them because on their website, they strongly stress the importance of treating their elephants humanely by giving them a rewarding life, and teaching others how to honor the beloved animal and the mahout lifestyle. They also do pivotal work against deforestation in the jungle and work to rescue elephants that had been maltreated in the past. I was so completely nervous about my choice, about where my money was going and about what type of organization I was supporting, that even upon arriving I scrutinized the grounds, the mahouts and the leader, Joe himself. I knew the elephants would win me over in a heartbeat, it was the humans I worried about. Well after two full days at their home, I witnessed exactly what was advertised, and I am happy to report that Thai Elephant Home lives up to what it stands for. Joe, his family and the mahouts living there care for their elephants as they do their very own children. They know their history, their schedule, their eating habits, their likes and dislikes, their personalities, and their spectrum of emotions. They speak their language in a way many cannot understand and the bond they have with their animals is everlasting. It was enchanting to witness and also to be a part of. If you are thinking about doing a tour with elephants, I can whole heartedly recommend Thai Elephant Home. It was a truly intimate experience and it felt as much like a homestay as it did an elephant farm. Spending the night there was crucial to our experience. Not only do you learn about the elephants, but also about the Mahout way of life. Your time there is spent giving the elephants a day they deserve, not the other way around. There are no elephant shows, no baskets to ride in. Not to mention, it is family run, based in the jungle and truly environmentally friendly. We took hundreds and hundreds of pictures while we were there, and Joe (the owner) also documented our experience with his own camera. Upon leaving, he gave us a CD with his personal photos, which we haven't even had a chance to look at yet, but we are both honored to have them, and can't wait to see them. These are just a few of our own. Andy gave some a try (he didn't like it as much as the elephants did). Joe (pictured left) teaching us how to ask the elephant to lay down so we get on. Meet Jampar. He is 7 years ago and a little boy at heart. It was amazing to spend the day with him. Before starting our day together, I stuffed my bag with little bananas and fed them to him throughout the day. I seriously love him! My view from on top of Jampar. This is his way of telling me he is ready for another banana. Embarking on a jungle trek. While we trekked, our elephants ate...and ate...and ate. They are supposed to eat about one tenth of their body weight everyday, and they weigh about two tons! We made our way through the jungle at a slow and steady pace. It couldn't have been more perfect. Mid-trek we stopped for lunch. Whatever we didn't eat, we fed to our elephants or atleast to the ones who wanted to eat it. Some can be very picky eaters! While we enjoyed lunch, Noi enjoyed cooling herself off in the jungle. An elephant's happiness is truly contagious. Look at her smile! Thai Elephant Home is one of the only places that has access to black mud. It is one of the elephants' favorite things, sort of like an elephant spa (but apparently humans like it too). Soccer with the mahouts and some of the volunteers living there. Things got sweaty fast! While Andy played soccer, I learned how to make Bamboo sticky rice - that will be a post of it's own one day on my recipe page. While we got ready for dinner, some of the volunteers were teaching the Thai children English by navigating them through a set up obstacle course. Excellent teaching! Breakfast time! I happily woke up early to feed the elephants. One of the many highlights of my day. Feeding time and bathing time were some of my favorite moments. (Notice how it looks like Noi is crying. That's because she is. Eventhough she isn't sad at the moment, we learned that her eyes permanently tear because when she was younger, her tusks were cut too low, which caused them to fall out. Now she never stops crying. Apparently this is common of a lot of elephants in Southeast Asia. It is heartbreaking to hear of what some of these elephants have had to endure). Retrieve! Everytime my flip flops came off Jampar would get them for me. When you are in the water with these magnificent creatures you have to remind yourself just how big they really are. And then you have to make sure you don't get squished! Open up! Time for a tusk cleaning. Jampar, always making time to play! Experimenting with a hot herbal bath for our hands and feet after a long trek. Thank you Thai Elephant Home for an amazing time! We will always remember the days we spent there and the things we learned. Jen! I'm the Debby who was at the camp with you. It was, indeed, awesome, and it was great to share the experience with you. I have a couple of photos for you, and am trying to email them to you, but the link that you have posted ("Jen @ www.brooklynexperiment.com", with the spaces removed), doesn't seem to work for me (gmail reports a "temporary failure", but claims it is still trying). Anything you can do to fix that or is there another way I should contact you? Hey Debbie! I'm so happy you found the blog. I was sad we never got to say goodbye after all the time we spent together at the farm. 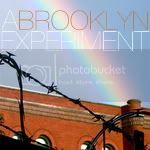 Jen @ BrooklynExperiment is just the way I sign my posts on a blog. My email is jcampbell52@gmail.com. Also, I think I have some pictures of you too, which I will definitely send your way when I get back to the states. I hope the rest of your trip is/was great! I would love to hear about the northeast part of Thailand. We will back in Thailand in a few weeks, but only to the southern part. Send me your email address so I can send you any photos I have of you and Noi! Thanks for sharing this post. I'm heading to Thailand next week and have narrowed it down to 4 Elephant homes and I am leaning towards Thai Elephant Home simply because I've noticed that everyone talks fondly about Joe and his love for the elephants. Thanks again, this helped a lot!